Yes she is a very fine violinist. Thanks for the link. I love Bach played this way. Is the video synced for you guys? For me it's way off but it could be my connection. I wonder if the passion is in her heritage? Wonderful stuff! Beautiful > the sound that is. Could just sit and sip my tea as I look out to the Earth and Sky. Yes, a tad un-synced sir. Nice nice Barry. I can't say move over Hilary just yet. 🙂 But wow.. she is a wonderful player. I love her body language. I like the setting of that clip also. And yes, she is quite beautiful. I might add that that music with my morning coffee just makes my day better. Like the world is a better place. Well that also is just quite lovely. Almost brings a tear. wow. I will snag some of her music off Itunes Barry. Thank you. I got a helmet yesterday!!!! Well sadly at the moment I am unable to view Nicole Benedetti on YouTube because the Chinese government have seen fit to shut this site down on the sub-net here. However I would like to make a general comment or at least pass one on from the father of probably one of the most famous Russian/American violinist that has ever lived, Jascha Heifetz (1901-1987). When his father was overseeing his practice sessions (in the early days) he would always say to Jascha, remember you are not putting on a show, you are paying homage to a composer. I have to agree with this statement because there are too many examples of ravishingly beautiful woman dressed in next to nothing putting on shows with violins. I call this a visual distraction from the music, so maybe it is best to listen to a CD rather than to watch a YouTube video which includes the show. People often criticized Heifetz's performances for being cold, or that he was a cold player. He was nothing of the sort, he was a very hot player, something that Mr. Perlman and I agree on. However people were put off by his appearance because he only moved what was necessary. So no show just pure exact and brilliant violin technique, but that was considered cold. If any of you people can find a moment don't watch but do what Ivra Gitlis suggests, just listen to the sound of Mr.Heifetz playing for instance the Sibelius concerto or the Scottish Fantasy by Bruch and you will be moved to a different world. I have studied and played the violin for many years and the performances of Mr.Heifetz never ceases to amaze me with their purity of sound and brilliance of execution. A little message to coolpinkone: Body language has nothing to do with great playing, in fact quite the opposite! In the old days teacher would become very cross if you moved too much as it tends to alter the sound produced. Ask Mr.Perlman he will tell you, and so will all the other teachers from the old days including mine. Your aim as a violinist or student violinist should be to produce the best sound you can by adopting a solid technique based on teachings laid down in stone tablet by the great masters, like Leopold Auer, Carl Flesch etc.,etc. What brand of Amps did those guys plug their violins into? Yeeessss, that was a joke. Hi, and welcome. Your knowledge and expertise will be very valuable here as will your friendship. Welcome to the forum ChinaFiddler. Thanks for your input. I feel about Hilary as you do about JH. I listen to her for hours. Without seeing her. I will take your suggestion and listen to more JH. Sometime when I am watching violin performances ... I also get captivated by the presence and performance. I like body language and how it affects me. I don't care if they are scantily clad, in suits, overalls, or on a porch... I think that part of music is ones personal choice. I wonder if I can still start this journey and be a decent player.. But I also wonder if I am having more fun than many violin students. And this might be the real reason adult beginning violinist don't usually become famous soloists or even in orchestras or make $.... They are too busy having fun. I know for me, at 49, I seek fun and stress isn't welcome. It is hard to choose what path and training we want from playing. I like your view point of paying homage to the composer. I don't feel it has to occur in every performance. I feel playing can be personal and open to ones personal taste. Good thoughts! Thank you for your thoughts and comments! Welcome again. I like this Nicola B. Violinist. She is on my list of musicians I like to watch now. @Chinafiddler - I spent a blissfull 28 minutes listening to your recommendation. Indeed it is some of the best I have ever heard. Thanks for the reminder. Yes I agree 100% that music does move the soul, but the body should remain mostly still. If anyone is a great example of this it is the legendary Mr. Jascha Heifetz. But he is not the only one that obviously believed that performances sounded best when the performer was not gyrating, or hopping up and down as many do. Sure maybe if you are a blue grass or country fiddler it doesn't matter so much, but in the classical world where one is measured by their ability to unravel some of the most complicated music ever written for violin it is best to focus your energy on what you are doing with the violin, fact 101! I can remember watching Itzhak Perlman giving a master class in Moscow and he was at pains to stop one young lady moving her fiddle up and down, around and around. He made a joke and said, "If I tied a pencil to your scroll I am sure you could draw a beautiful picture, but not today, thank you!" Yes I know we all like to see performers putting their all into what they are doing, and maybe seeing them suffer a bit when the music is difficult, and let's face many do this. However I am old boy who's teaching come directly from the Carl Flesch school so I believe that it is best not to move too much, others like to think the opposite, well it's a free world, but all my students are instructed to keep the gyrations to a minimum. No show, just good technique! I am glad that you enjoyed the Sibelius. Can I suggest that you try to listen to as much Heifetz as possible, and watch a few of the old videos that are on YouTube, they are breathtaking to watch. I am considered an advanced player but I still marvel at what J.H. does with his fiddle. He was a true master of his instrument and there was nothing he couldn't play, and play brilliantly, no mistakes, no passed over notes (as some do)! Korngold concerto, Glazunov concerto, Mozart concertos No.4 & No.5 Turkish, and any and all of the smaller pieces including many wonderful sonatas, like the Franck and Strauss ones that he played at his farewell concert at the Dorothy Chandler Pavilion in 1962 at age 61yrs. Hello Chinafiddler.... Thank you. I have listened to JH a bit. But I agree with you on listening to the best of the best. I think it is a good way to learn. I believe listening to violin for hours a day is very very beneficial to learning.. in addition to all the other techniques one must learn. I have added him to my list.. so I will enjoy and pay attention. I also watched a lovely video of him playing. (Tchaikovsky violin concerto) ( I know you can't see it, but posted for the others). I actually thought his body language was great.. facial and light movement. I am completely astounded with what he can do with his violin. Thanks for your tips and recommendations. (I have Hijacked Nicola's thread)... so I think if I reply...or post more J.H. I will start a new thread. Sorry, but I have to disagree...but its just a personal opinion. That up tight ,stiff playing, do it JUST this way is whats killing classical music. I love to see my fiddlers moving. Its time to lose the old stiff upper lip and move forward. You probally dont want to watch me play as I cant sit still. No I probably wouldn't want to watch you, but then if I find the gyrating annoying I usually close my eyes, after all I am going to a concert to listen to music, not watch music, yes? Can you explain exactly what you mean by , and I quote: That up tight ,stiff playing, do it JUST this way is whats killing classical music ? Because I cannot see how this is killing classical music. If you had said computers and the internet are killing classical music I would agree, but not somebody or anybody that has been taught in a disciplined way that uses solid technique. If you are correct then why didn't classical music die out years ago with the stiff playing of Jascha Heifetz, Nathan Milstein, Isaac Stern, Yehudi Menuhin, David Oistrakh, Leonid Kogan, Mischa Elman, Arthur Grumiaux, etc., etc. Regards from a stiff old geezer! P.S. I suggest that you spend a little time listening and watching Jascha Heifetz on YouTube. I guarantee you will change your mind about us stiff old players!!! Im not trying to be disrespectful, and if thats what you like then there is not a thing wrong with that. But Ive spoke to many young non musicians and the answer is almost always the same. Classical concerts are boring. So if so lights and movement is what takes to keep it alive then so be it. Vanessa Mae , Nicola Benedetti and Lindsey Stirling have done more this decade to keep the youngsters interested in string music then Mr. Heifetz has. Dont get me wrong,I love Heifetz's playing . And it has its place in history, but will do little to lure in the fans, and without them you'll just be playing for yourself and working in a factory. We have to evolve. Guess we'll have to agree to disagree. I think you'll make a wonderful addition to this site. Your experience will surely be a blessing. Again, welcome aboard !! Barry.. I love to watch you play. I love violin.. I love to hear a lot of the versions and styles of how people play. Soapbox.. all due respect... to all My thoughts and a note to my good bud Barry. I agree that there should be no "my way or the highway" rules. So many violinists start out playing and these rules and attitudes inhibit them. That is why we know so so many who used to play violin. At some point some orchestra or teacher got in their face and said ..."DO IT THIS WAY." "THIS is the ONLY Way." Most would say "oh they were not good enough.." I don't think that is always the case. Many times they were too much of an artist to compromise on that kind of "rule." Some were turned away because the color of their violin. That is part of the reason I don't like watching a lot of children violinists. There are beautiful orchestras throughout the world that have a need for structure and order... and the best of the best converge to play the the classics. I love classical music I mean I love it more and more. The more I hear, the more I adore. It is only a matter of opinion what is the "bes"t music.. it is only a matter of opinion of who the top five or ten violinists.. it is only a matter of opinion of many things. Music is ART. IT IS NOT SCIENCE. So what if all the supposed best violinists get together and agree a certain person is the best in history??? Did they ask me? Did they ask you or the majority of the people in the world? No? I have never been asked. I have excellent taste and my opinion matters. It is all a matter of opinion. We are here to share music. Some of us ask for help here to refine our skills and play better. But at the end of the day we are all just good people with a love for the Violin. So I always want to hear everyone play. 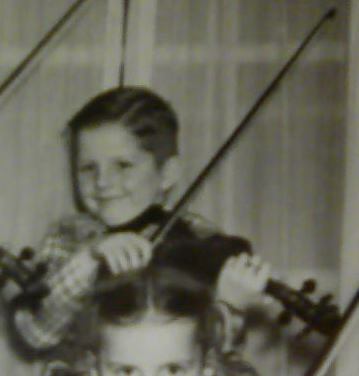 Barry...I love your passion for violin... and I love your support of the newer violinists and I love that you love classical and then you grind the fiddle tunes out ... You are true to yourself. But just to clarify.. I do love to hear different sides.. to use a should rest..to not.. to play by ear..to not.. to move or not. I like to hear opinions....but I do take it all as opinion. Nothing more nothing less. People on a forum should banter ideas back and forth... it is a good thing.. "iron does sharpen iron." (now if Hilary were here.. and telling me to lift my elbow and stand "this way".. um I'd listen... when Pierre spends his precious time to offer advice.. My ears perk up. He is a world class violinist... So I am not stubborn and resilient to good advice. My thoughts tonight. I am just soapboxing.. and I am kind animated and write boldly.. I too mean no disrespect. And I am actually in a good happy place. I just want all the new friends here and old to remember we all start somewhere.. this is a beginner and beyond site.. Where we learn to play the violin free...I want everyone to feel cozy .. happy ... peaceful. What an exciting thread, I can't wait for the movie.